When my older daughter graduated from high school, not only did she go to a lot of graduation parties, but she had a joint one with her best friend. She received gift cards, money and a lot of logoed apparel and decorations from the college she was going to (UF). By the time my younger daughter graduated, the gifts she received, in addition to money and gift cards, were from the college registry she set up. Today, the lists have gotten longer but so have the places to buy gifts, many of which are now online. 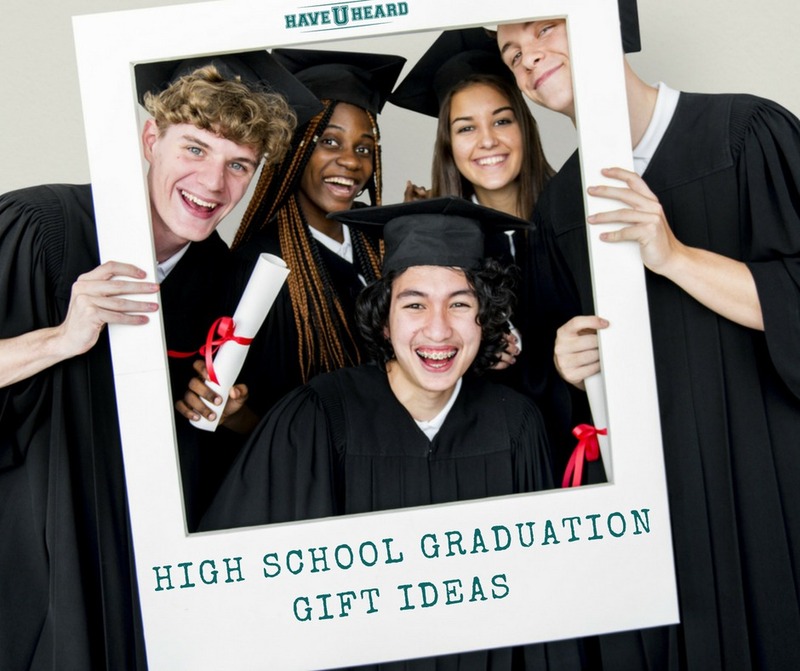 Whether your student is having a graduation party, sending out announcements or just has a big family that is looking to get the high school grad a gift, HaveUHeard pulled together a list of the most requested graduation gifts for 2018 according to our very unscientific high school and college student surveys. Choosing the right gift can be tricky but this list will help! TV– This is one of the most requested items by students. Look at some of the SmartTV’s. They have come down significantly in price. For their dorms or rooms, you don’t have to get them a top of the line TV. Check out Best Buy, Walmart, Target, and Newegg for some great discounts. Computer –Having their own computer at school is key. Whether a Mac, a PC laptop or Microsoft Surface or laptop, many retailers offer student discounts so shop around. Computers can be purchased at an Apple Store, Best Buy, Walmart, and Newegg. Apple Watch – This gift is truly awesome, IF they want it, which many do. My daughter doesn’t want to wear a watch every day; my son is hoping for one. 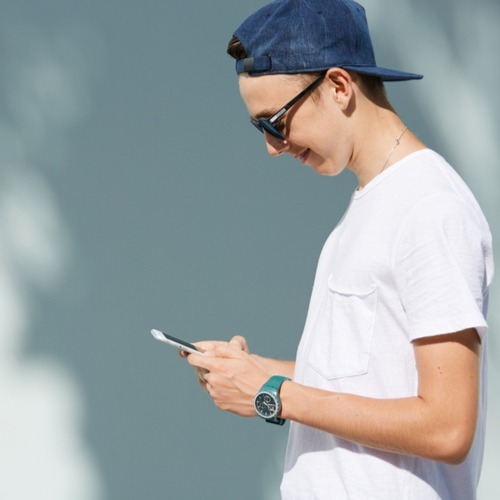 Originally introduced as a fitness watch that allowed you to track activity, measure workouts and monitor health while being able to check texts; the newer models offer branded companies including Nike and even Hermes. You can get an Apple Watch at an Apple Store, Best Buy, Walmart, Macy’s or Target. Think of it as a watch and iPhone combo. Fitbit – Today’s health-conscious students like to measure their fitness results and a Fitbit allows them to do that and so much more with their newer models. The Fitbit ionic works with Bluetooth headphones, stores and plays music- perfect for when they head to the gym or are out for a run. You may find them at Best Buy, Walmart, Macy’s or Target. Amazon’s Alexa Echo Dot speaker – You can get the Amazon Echo at Target, Home Depot, Walmart, Bed, Bath and Beyond, Amazon and Best Buy. Frankly, when they run a sale, I buy a few, because everyone loves them. It’s like sending them to college with a virtual assistant. “Alexa” will set an alarm, play music, provide the weather forecast, read a book to them, order a pizza or an Uber, and so much more. Google Home or Google Mini – Same idea…can be found at Target, Walmart, Best Buy, or Bed, Bath and Beyond. Wireless Headphones/Noise-cancelling Headphones – Whether they are walking across campus listening to music, calling home while cleaning their room (ok, a mom can dream) or trying to block out any noise so they can study, good headphones are appreciated. Here are some of their favorites. Bose Headphones and Earbuds – Bose is known for their sound systems. Check these out on eBags, who often runs sales. Entertainment Subscriptions/Devices Netflix/HBO/Hulu/Apple Music -TV/Roku/Amazon Fire TV Stick subscription – Students today, especially those living off campus where the cable is extra, love to have access to the best music, movies and TV shows at their fingertips. Getting them a subscription to any of these services or purchasing one of these devices makes it possible to watch anything instantly, which can be the break they will need between studying and having fun. Hulu/Spotify offers a student bundle for $4.99 per month for both with a student email. 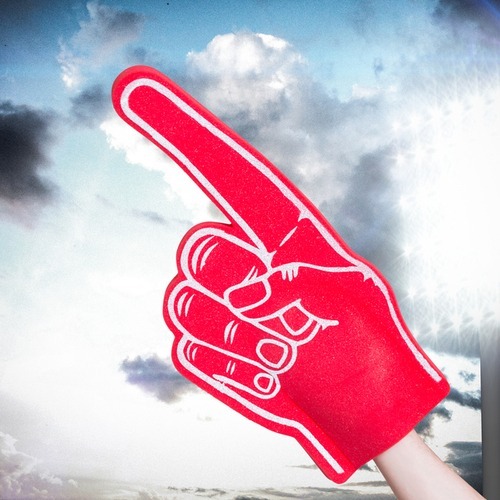 University apparel & accessories– Whether it is to a football game or just to class, they are going to want to show their school pride, so t-shirts, sweatshirts, sweatpants – really just about anything that screams their college logo will do. You can also find room décor with their logo on it. Check Fansedge, Fanatics, Life Is Good (Collections for UF, FSU and UM only) for any of these. Etsy and Overstock carry college logoed items. Just type in your University and search away. Pop Socket – Another great gift for their phone that has their school logo on it. You can find these on the eFollett website. Just put in the school name and search for pop socket. They have them for UF, FSU, and UM. Water bottle – Get them a Tervis with their school logo. Students also love the S’well bottles. Keurig machine – For students who love their morning Joe or tea, a Keurig is a great gift item. And, it may cost less than grabbing Starbucks every day. Anything for their dorm, really. Check out Dormify or Wayfair; they will practically decorate the whole room in one fell swoop. Bike – Even if this will be the main source of transportation, I wouldn’t recommend spending a fortune on a bike that will generally be chained up outside somewhere. Remember, it can rain at any time in Florida. A bike, however, is very useful on these big campuses. Be sure to buy a good lock too (and a helmet, but don’t count on them wearing it.) Target has a great selection and you can pick it up at the store closest to their college, so you don’t have to lug it up there. Board Games – Sounds silly, I know, but you would be surprised at how many times my daughter has told me that she and friends sat around playing board games instead of going out. (I didn’t ask if drinking was involved, because….). Stick with the basics like Monopoly or Apples to Apples. Cards Against Humanity is very popular with students. My daughters play it with their friends all the time (they have banned me from joining in). These can easily be found at stores like Target or on Amazon. Calendar, Planner or App – their lives are about to get even busier so whichever way will keep them most organized is the way to go. My son likes an app on his phone, while my daughters still appreciate a planner (with a pretty cover, of course) that they can throw in their backpack. Nordstrom, BarnesandNoble, Target, Walmart, Urban Outfitters, Office Depot; take your pick. We can’t possibly cover it all and there is still going to be plenty on their shopping list. (You may want to take a look at our blogs about What to Bring to College and What Not to Bring to College.) With this in mind, students absolutely do appreciate financial gifts that can go toward their college expenses. Amazon Gift Card – I admit it, I buy just about everything on Amazon. It is easy and convenient and if you have Prime, it is even easier and more convenient. An Amazon gift card gets the grad just about anything they may need for their dorm, books or the cable cord they just realized they need. Perhaps set up Amazon Prime in their name too, because students cost is $49 per year or $6.49 per month, after a free (limited) six-month trial period. Gift cards – Starbucks, Sephora, Ulta Beauty, Gas, Chipotle, Chick-Fil-A (Find out which restaurants and stores are on or near their campus), Publix (get the double card that allows the buyer to refill the student’s card), just to name a few. Keep in mind that not all on-campus restaurants and coffee shops accept gift cards. For some great 3D gift card holders, check these out- just have them done in your student’s college colors.